This entry was posted in Quilt Pattern, Quilting, Quilts: Pieced, Quilts: Pieced & Applique and tagged Annie's Online Class, Free-motion quilting, Machine Quilting Class, Wendy Sheppard. Bookmark the permalink. Very beautiful stitch! So I want to learn. I look for a clear view of the quilting with plenty of ideas and samples of the types of quilting that can be done. I look for a good variety of new motifs with lots of examples regarding where they work on different parts of a quilt when considering whether to enroll in an online class. Having the option to repeat a segment of the video easily has also been helpful when I have taken other classes online. Your class project looks amazing! I need easy to follow instructions in a class. I get lost easily. I really appreciate information on how to construct quilt patterns and their variations, especially on how to mark your quilt top. Lovely sample. I’m looking to add more motifs to my FMQing. I look for something I’m interested in-currently FMQ and then usually new techniques-glue basting, new rulers etc. I love how the patterns are so free and unrestricted. The ability to just let loose and go where you want and make what feels right. That’s where I want to go. I need this class to give myself confidence to break free. My tool box is not very full. I look for an instructor who can explain things clearly and has a lot of experience with the technique being taught. What I love about on line quilting classes is that you have contact with the instructor. Holding thumbs to win this class from my favourite instructor! Many thanks for the chance. Clear video that I can stop & start as I work thru it. Fun! A video that I want to sit down with the next day because of the confidence I felt in the previous lesson! Patterns I can use to my quilt my own tops. I look for a class that will teach the basic designs that we can then use further in our projects. Thank you for the giveaway! 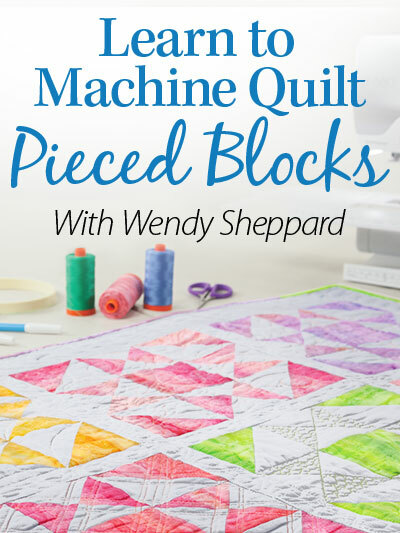 Since I have been experimenting with machine quilting already, I’m looking for a class which will teach me more intricate designs, and particularly how to quilt large negative spaces creatively. I am looking for a class that will help me choose doable designs of machine quilting that enhance my quilts. Your quilting is beautiful! I look for clear directions and visuals. I took Wendy’s first class and loved it! Here is to winning this one…..fingers crossed!!!!! Hi Wendy. I look for a class with easy to follow video instruction coupled with downloadable quilting motifs for doodle and machine practice. I guess like a combo of your blog and you tube video. I love following your blog. Mostly I hope for some new info, technique, perspective, not a repeat of things that have been around forever or can be found in any basic quilting book. Enjoy Ivory Spring very much, your work is wonderful. Simple, easy to follow instructions that look like something I could actually do. What a fun giveaway, I have always admired your work. What would I expect, clear instructions. I look for a class with instruction that I couldn’t easily get from written text alone. I look for a class that starts with simple quilting, then builds to more and more difficult motifs. I also like to see examples of how the quilting looks on “real” quilts. When machine quilting, I need guidelines as to what to quilt and how much ….I do not want to detract from the quilt , just enhance it….that is one thing I look for. I would like to learn more ways to deal with wide borders. I look for clear visuals and understandable verbal directives making it easy to follow at home with my own machine. Thanks Wendy, for this opportunity….love your work and blog. Learning!!! So many things I want to know and do – best way is to have a class you can rerun over and over again. I look for fluidness! I want someone who is just telling me about their day and how it quilted out! I look for clear instructions, methodical approach, a pleasant voice and handout materials for reference. I’ve got the very basics, now I am ready to get into a little more detail. I especially need help in the decision making process. I look for encouragement and motivation. I like to watch closely while hearing the instructions and tips. As you know, I have always loved your quilting. I would love to learn how you decide what to quilt where. I look at my blank slates and my mind goes blank too. I’ll bet that cinnamon loaf was more like a cinnamon pancake!! Don’t you get frustrated with yourself when you do something like that? It always drives me crazy. I am not very confident when it comes to machine quilting. I tend to do mostly straight line quilting. So I would love to learn how to add beauty and variety to my machine quilting. I am very much a visual learner, so being able to see how it’s done is a plus for me. Thanks for always sharing your beautiful work. I look for something that starts with the basics and slooooly shows what can be done with the flow. I am just starting to learn. I want to learn to not be afraid. I am so worried about ruining or wasting good fabric that I freeze, and I’m afraid to start. I have fun with free motion quilting and am making several quilts for family members this year. Perfect time to learn new techniques! Thanks! I never know how to quilt my quilts. I am not very proficient but I try and I enjoy the process. I have never taken one of these classes but would really benefit from this one. Thank you for the chance to win. I look for someone to teach who I have heard of and who’s work I admire. Just starting machine quilting. Know I am at a level I need some training to do better. this class would be nice to have – thank you for offering the opportunity to win it. I look for an experienced teacher who will clearly explain what she will be doing and then proceed to show you how it is done. I also like to be able to ask questions if I need to. I look for a teacher who is organized. I’m not and if I’m disorganized and instructor is jumping from one topic to another the class is a flop for me. I would love to take your class. I do easy designs like stipple and a loopy swirl. 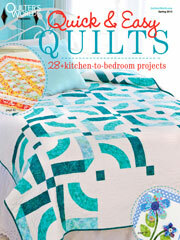 I look for clear instructions and examples of how to use the quilting in my own designs. Thanks for the great giveaway. I look for someone who is well experienced and does the kind of quilting I want to learn. I need pictures to understand how to do the qillting design. It also helps to have a idea of what not to do or how to correct a bad error. watching someone quilt is a very big help. I look for 1) a variety of quilting motifs, 2) clear and precise instructions, 3) a great view of the quilting area that is well lit, 4) an experienced teacher that knows how to teach, 5) a little humor, and 6) a finished project at the end. Thank you for the chance to win your class! What a lovely giveaway. I think it might be hard for an instructor to remember how daunting it can be to get started on FMQ. We newbies need encouragement and good basic guidelines to help us on our path. My free motion quilting leaves a lot to be desired so far. I need some instruction on how to be more fluid in my movement. Also a clear visual of the project under the needle is very important. I enjoy online classes because can stop and start as needed then repeat sections as well. Clear concise commentary is a must and good photography first come to mind. After that I think the length of each class, although you can stop and start at will, is a factor. I like to watch new and fresh ideas, or methods I have been afraid to try. To win would be the most awesome gift EVER! I’m fairly new FMQ. If I were to buy a class, I would want a great instructor. As a retired senior the classes are out of my budget. But, your blog and Thread Talk are terrific and so helpful. Thank you! I recently bought this class and can honestly recommend it to others. Great tips, techniques, lessons shared in this virtual workshop, as well as three beautiful patters. The cost is truly an exceptional value. ps – I shared your giveaway on Facebook and Twitter, to help increase awareness. I need help in deciding which designs to stitch in different parts of my quilt. Blocks, borders, sashing, etc. 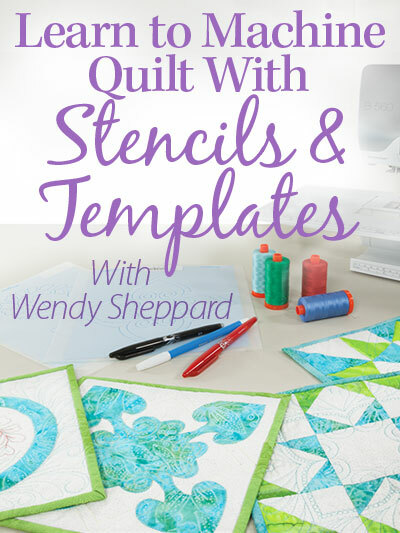 Hi Wendy, I love to look at quilts – color, design, quilting texture – and find that I get overwhelmed in putting all 3 components together well. It seems like hit and miss, and my quilting style is very basic. How wonderful to be taught be you, Wendy, to have you spend “time” with me to develop the skills necessary to accomplish a more rewarding experience – the next best thing to sitting with you in person. Thank you for sharing your talents with us. I look for clear instructions. I also like flexibility to “ad lib” and “correct” errors. Your back-to-school day sounded much like my daughter said about hers with my grandkids. You are not alone! I look to learn somerhing new…I can practice on my own, new methods always get my attention. When I look for an online class, it has to be a design I like with a good teacher. I want to learn, and have fun. The teacher needs to be positive, encouraging, and enjoyable to listen to. The visuals need to be good, too. The camera needs to zoom in where needed. Your class looks like it would be a good one! I love the designs, too. Hugs to you and Miss B for the rocky start to your week. Love your thread talks and would love to take your class. I look for detailed explanations and closeups. I look for a class that will show motifs with movement and beauty to compliment the quilts’ piecing in a way that encourages me to enjoy learning and continuing to use them. I look for ease of use. I want to be able to be able to repeat sections easily. I look to be able to access class whenever I want to do so and to be able to repeat sections. Also like to see looks of still pictures. Thanks for opportunity to win. I haven’t taken an online quilting class before, but would love to get better at quilting on my B820. This looks like it would be a wonderful class and I like the variety of projects and designs that are discussed (not just one technique). Thanks!!! I look for clear instructions with exact visuals and close-ups. I am a visual learner mostly, but sometimes an explanation is necessary for clarity. Thank you for the drawing. I love classes that give me a wide variety of motifs to learn, plus creative ideas on where to use them! I am looking for any quilting class that will give me the confidence I need to machine quilt. I have followed your posts for awhile and feel that your ability to present information will be on a level that I can understand and learn from. I would like to learn how people look at a quilt and determine what to quilt and where. I also like classes where you can have a dialogue between the instructor and yourself. I look for clear and easy to follow instruction, I find it helpful when Instructors show tips and tricks that they have learned along the way. I have never done an online class. It does sound like a challenge and fun. My computer skills are growing as I venture out of my comfort zone. I have been getting your emails for a couple of years and have enjoyed watching your personal growth and your daughter blossom before our eyes. Side comment-I absolutely love all the hand smoking that was done on one of her little dresses. We finally have a granddaughter so I can use some of my many girly fabrics-my grandsons do not like pink. To be honest I have decided this is the year to make sure I have some balance in my life-so if quilting makes me happy (which it does) that is where I am focusing some of my free time. As on oncology social worker some days are more draining than others. My wonderful spouse actually supports my fabric compulsion-he tells me “stop at a few fabric stores on your way home then you will be in a good mood .” He is correct! 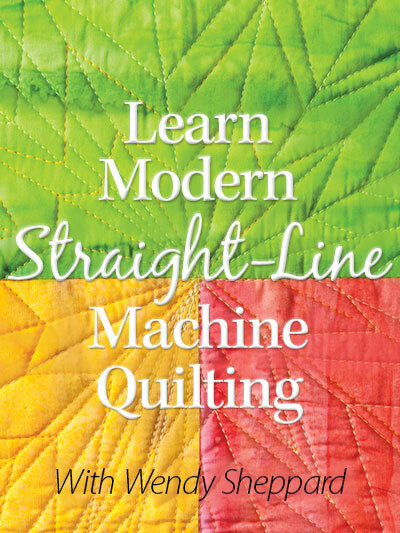 So 2016 look out I am going to push ahead and join an online quilting class! If I have written this wrong or hit a wrong key I apologize-I am teachable. I would love to see Brenda Allen (above) win! I would like to gain confidence and be able to quilt smoothly, letting my hands move as easily as my mind does. Exercises in relaxation for quilting would be a plus! 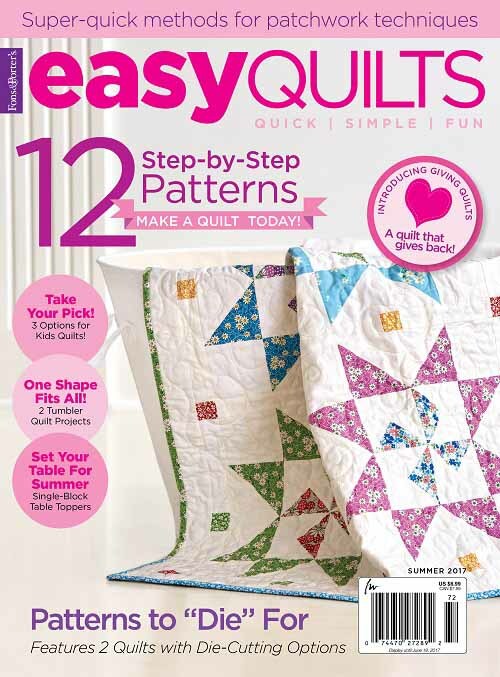 I like clear directions, good audio quality, close ups of the quilting in slow motion! I want clear directions and good visuals. I look for a class with clear instructions and designs that I can actually achieve to enhance my quilting projects. Thanks for this chance to win this class giveaway. Have been following your blog for a while now and always look forward to it. Your work is just beautiful!! 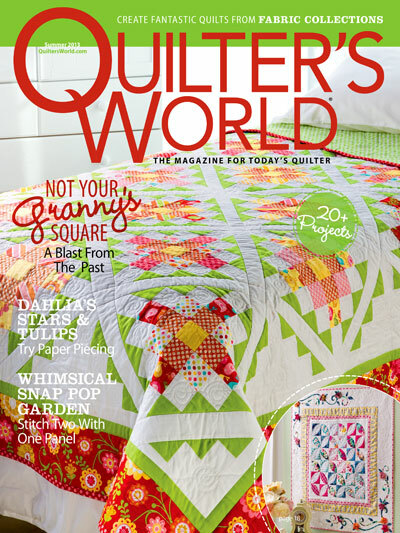 I have done many on line classes but never a quilting class so I would be very interested in this class. It looks wonderful. I look for clear instructions from the teacher. I also appreciate it when the camera person knows how to effectively keep the camera on what the teacher is demonstrating. One topic that I hear from many quilters is “How do i quilt this quilt top?” A class focused on ways to quilt a quilt top would be great! Beautiful quilting! I’m a beginner at free motion quilting and try to watch lots of videos for ideas and techniques. Thanks! I look for classes that with clear instructions. It is definitely a great help if the camera can zoom in and show in detail what the instructor is demonstrating or teaching. Then I can pause and try to follow exactly what the instructor is doing in the video. Id really like to learn something that i HAVENT already been shown how to do for free online! Im really sick of paying for classes and getting instructions on how to do something that the rest of the world has offered up for free…ive taken a few FMQ Craftsy classes, one from Angela Walters and one from Cindy Needham and both were awesome! On the other hand, i tok another online thing somewhenre else, and it spent 90% of the time telling you how to make bias binding, the difference between single fold and double fold and the size bias binding makers you could buy! Complete disappointment….so, for online class content, id like to actually Learn something. I definitely want to have a clear view and a clear, precise voice. Would love to win!! I have not taken any online classes. I would love to learn from Wendy. Easy to follow instructions and using different, relatively easy motifs to use on different size blocks. I need to start from square one again on machine quilting. So easy and simple designs would be what I want right now.. I like videos that go at a pace you can follow easily. Some instructors move too fast or talk too fast in their videos and even if you can pause and replay it is difficult to get a good grasp. Also being aware of the color of the thread on a highly contrasted solid fabric is easier to see. I want clear, precise instructions; videos that demonstrate the process and zoom in so I can get a close-up view; ability to have interactive question/answer sessions, and ability to save and replay. I like a clear view of the sewing being done. Inspiration is abound and the energy for me is contagious…practice, lots of time to practice on the technique taught…not just a few mins and move onto the next. I also love that instructors bring their “first” projects and it makes me feel like I CAN DO this, having just begun:) Thank you for the book opportunity, it’s awesome! I look for the designs to be broken daown to their components, and typical pitfalls to be anticipated so I can make progress by diligently practicing. I love free motion quilting on my home machine, but just need alittle gentle push in the right direction. An online class would be a blessing! I appreciate classes for the tools used and showed, how to draw designs and how to stitch them. Your class looks great! I look for inspiration and new techniques. A great on-line class is one that allows a student to ask questions and receive feedback in a timely manner. Also posting photos from other students. You are my inspiration. Whenever I think “I can’t do this on my domestic machine” I think of you and all the marvelous quilting you do. Do you use your Bernina stitch regulator at all? I’ve never taken an online class…but guess I’m never too old to try! I look for ability to keep the class forever as my schedule is hectic and I may need the info later or in the middle of the night! Then I look for something new that I did not know before. Every class has something new form that I can incorporate into my stitching (or not). Good closeups and clear instruction are a must. Adorable fabric selection for the projects because ours is a visual art, right!? I like online classes that are available forever once purchased. I also like patterns and instructions that can be printed out to go along with the class. I like a class that has lots of closeups! I like to see how things work. I also like printed instructions I can keep by my side as I follow along… Thank you for the giveaway!